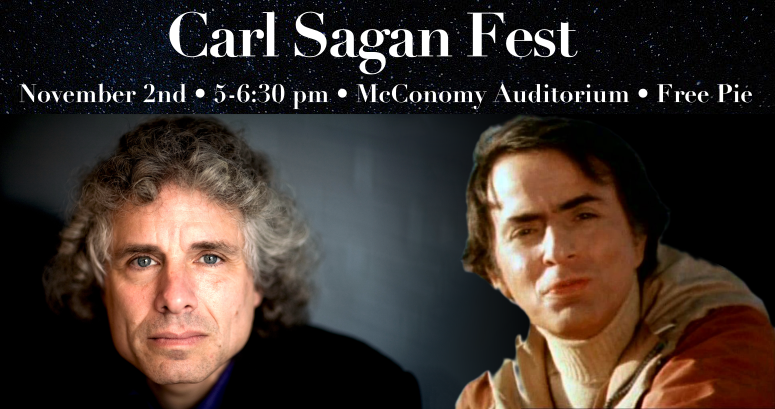 Join us for the Humanist League’s annual Carl Sagan Fest, a celebration of learning and reflection complete with apple pie! 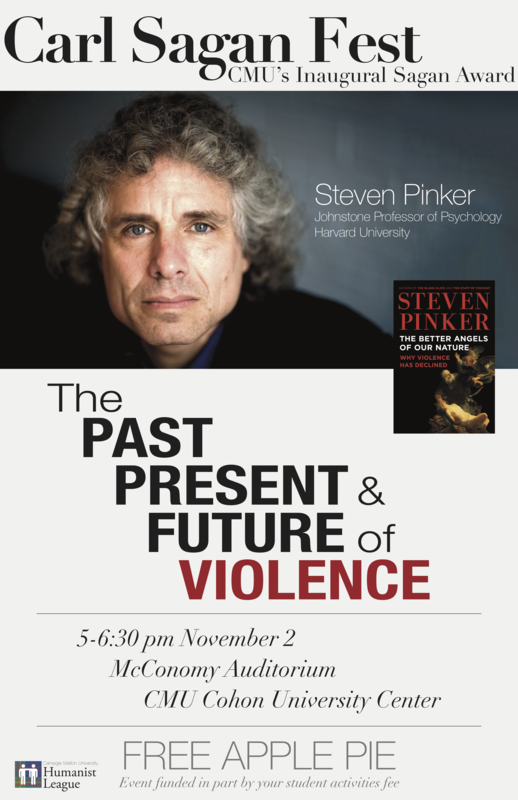 This year, our speaker Steven Pinker will receive the inaugural Sagan Award from CMU’s Humanism Initiative. The event will be followed by a reception in CUC Connan. Previous: Is free speech overrated? Next: Is democracy the best?